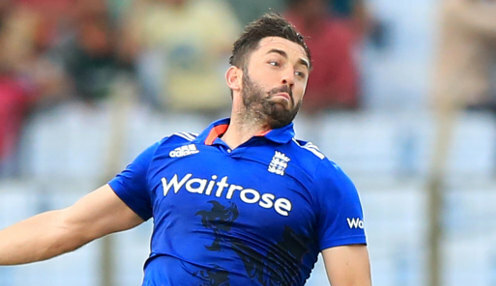 Fast bowler Liam Plunkett says there will be no let-up from the England one-day team as they count down to the 2019 World Cup on home soil next summer. Plunkett and co. recently dished out a 5-0 series whitewash to Australia, making a world record score of 481-6 in the third ODI at Trent Bridge along the way. We're looking to get the perfect performance together. However, ahead of the first of three one-dayers against India on Thursday, Plunkett remains of the opinion that there is still more to come and that he and his team-mates are not about to sit back and rest on their laurels. Quoted in The Cricketer he said: "We're looking to get the perfect performance together. You want to get a massive score and you want to bowl well at the same time. "I think why we are number one is that even when we've done well, we still want to get better. "We have set the standard recently in one-day cricket in how good we can be, but everyone is trying to get better. I think that's what the best teams and the best sports people do - get better and better." The first ODI against India is in Nottingham on Thursday, with England expected to face a major test of their mettle, having lost the T20 series against the tourists by a 2-1 scoreline. The Three Lions are 4/5 to make a winning start to the ODI clashes, with Plunkett 3/1 to be top team bowler, while Jonny Bairstow is 3/1 to be top team batsman. Bairstow has been in a rich vein of form in one-day international cricket in recent months, making four centuries in his last eight innings in the 50-over format.